This is a serious blog about beauty, and after the big hit I have had with debunking the Huge Hips Skinny Hips product, I really wanted to get back to writing about stuff useful to people wanting to improve their appearance. But I have just come across another incredibly stupid skin care product that I simply couldn’t let pass without a comment. Nightingale droppings. Yes that is right, nightingale as in bird, droppings as in faeces. 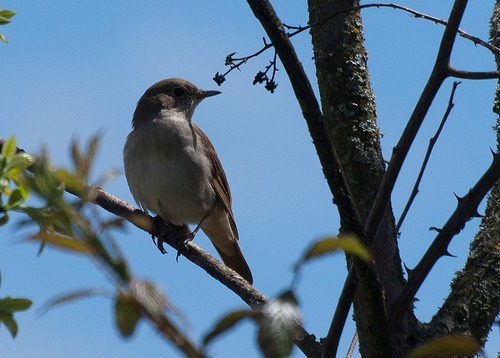 A Japanese company is selling a product that contains nightingale droppings. According to their website this has been freatured on Oprah in the States, but I have never seen it mentioned in the UK media. The story is that it used to be used by geishas and it contains some enzyme and an amino acid blah blah blah. I don’t know about the giesha bit but the science looks ridiculous so the social history may well be too. I doubt very much whether nightingale pooh will do anything for you. If your experience is different. please let me know. Back to proper stuff on my next post I promise. This entry was posted in Beauty News and tagged skin care on February 3, 2009 by Colin.